This impressive family home is within easy striking distance of Salisbury and the south coast. The Manor House in Downton is tucked away next to the church in a peaceful corner of this bustling village. 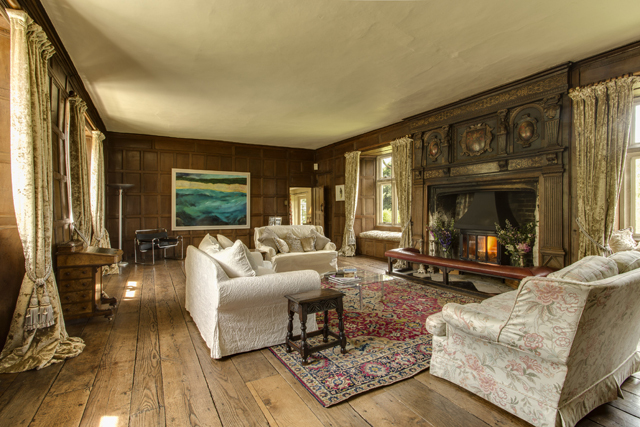 Grade I listed, it is said to be the longest continually inhabited house in the South of England, from its original foundation as a chapel in around 850, and later as a medieval hall house. In the 16th century, Elizabeth I leased the house from Winchester College and gifted it first to Thomas Wilkes, Clerk to the Privy Council, and then to Sir Walter Raleigh, who made significant home improvements, not least to impress Queen Elizabeth when she came to stay at the Manor House in 1586. The property spans two floors and also boasts a three double bedroom cottage. 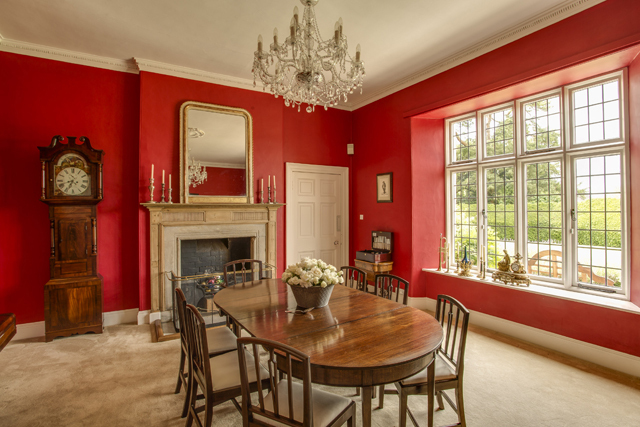 On the ground floor the accommodation comprises a drawing room, sitting room, dining room, a beautiful panelled library, study, kitchen/breakfast room, laundry, bootroom, cloakroom and extensive cellars. On the first floor the master bedroom suite with bathroom can be found, plus four further double bedrooms and three further bathrooms. Outside are beautiful formal gardens and a walled kitchen garden. Overall the Manor House in Downton boasts five bedrooms, four bathrooms and a detached two/three bedroom cottage which is currently let as a very successful rental property generating £9,180 per annum. Downton is a thriving and long- standing community. There are good local facilities in the village which include shops, doctors, dentist, tennis club, the Borough Café, churches, schools, and public houses, as well as the famous Cuckoo Fair held each May. The city of Salibury is just 6 miles away and the station offers a direct South West Trains service to London Waterloo in around 90 minutes. Southampton Airport and Parkway Station are just 25 minutes to the south, and it is 15 minutes to the M27 Junction 1. The guide price is £1.6 million. For further information please contact Winkworth Salisbury on 01722 443 000.